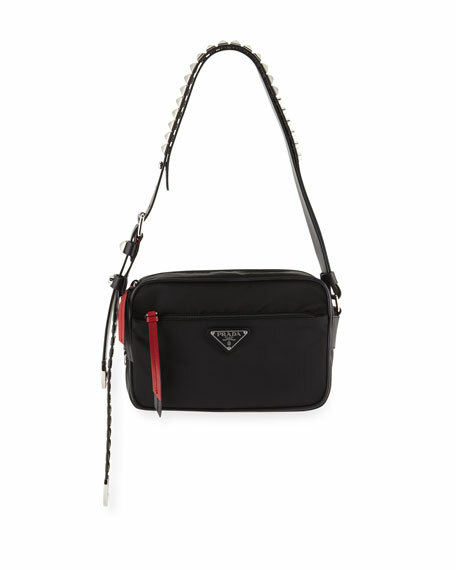 Prada nylon shoulder bag with studded leather trim. 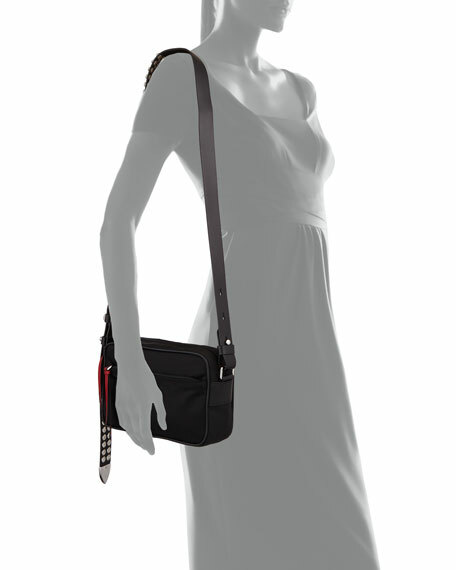 Adjustable shoulder strap with spikes. Exterior, logo plaque and zip pocket at front.